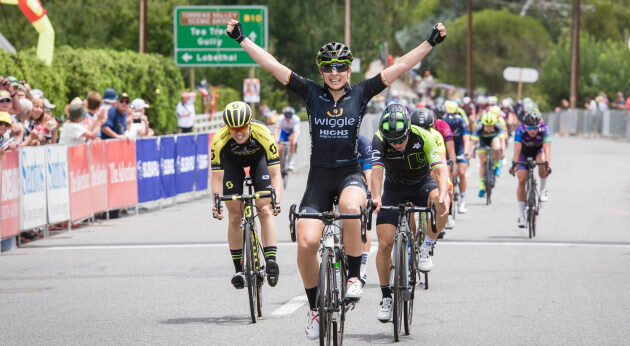 For the first time ever the townships of Hahndorf, Nuriootpa and Nairne have been selected as start towns for the first three stages of the 2019 Santos Women’s Tour Down Under. Race Director Kimberley Conte said the course planned for 2019 has been designed to appeal to both sprinters and all rounders with a mix of challenges across the four stages to suit both style of riders. “Stage 1 will see the riders travel from Hahndorf to Birdwood and we expect a fast, bunch sprint, whilst the course for Stage 2 from Nuriootpa to Mengler Hill will see the climbers reign supreme on this Subaru Queenof the Mountain,” she said. “The beautiful and technically challenging Stage 3 course finishing in Stirling, incorporates part of the famous circuit used frequently on the Men’s race. We expect a fast and furious sprint finish for Stage 4 around the Adelaide East End Circuit, immediatelybefore the Down Under Classic, with huge crowds anticipated to cheer on some of the best female athletes in the world on their final day of racing,” said Kimberly Conte. South Australia's Minister for Trade, Tourism and Investment, David Ridgway, confirmed the 2019 Santos Women’s Tour Down Under riders will travel through towns in the Mount Barker District Council, Adelaide Hills Council and Barossa Council areas, with the grand finale through the streets of Adelaide’s East End. “The course set for the 2019 Santos Women’s Tour Down Under will take the riders through some of SouthAustralia’s most picturesque locations in the Adelaide Hills and Barossa regions,” the Minister said. “With equal prize money up for grabs, we know the elite women riders will be battling hard over the 376 km covered across the four stages, to put on a great show for cycling fans." Seventeen teams including 11 international teams from Denmark, Great Britain, Italy, Netherlands, New Zealand and the United States saw a total of 102 riders from 18 different countries participated in the 2018 event. The 2019 Santos Tour Down Under will be held 10 – 20 January 2019 starting with Stage 1 of the Santos Women’s Tour Down Under on Thursday 10 January.